Enjoy a sunny day on THE VUE ’s Amenity Deck. It’s strategically located to allow as much time in direct sunlight as possible. 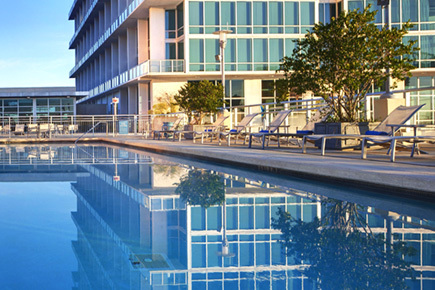 Set on the building’s 7th floor, the Amenity Deck features a 25-yard heated pool and a tennis/basketball sports court. It’s a great way to stay active or cool off after a workout in THE VUE ’s 5,000 square foot health club and yoga room. And the pet park, also located on the deck, ensures that when it’s late and your dog needs to go for a walk, there’s no need to leave the building.